We awoke in Denver, CO with a number of options: play in Wyoming, head up to central Nebraska, or stay in Colorado. As of our group meeting Roger liked the conditions up north, assuming the cloud cover that was up there at the time cleared out to allow surface heating, so we proceeded up I-25 to Cheyenne, WY and then stopped to observe. 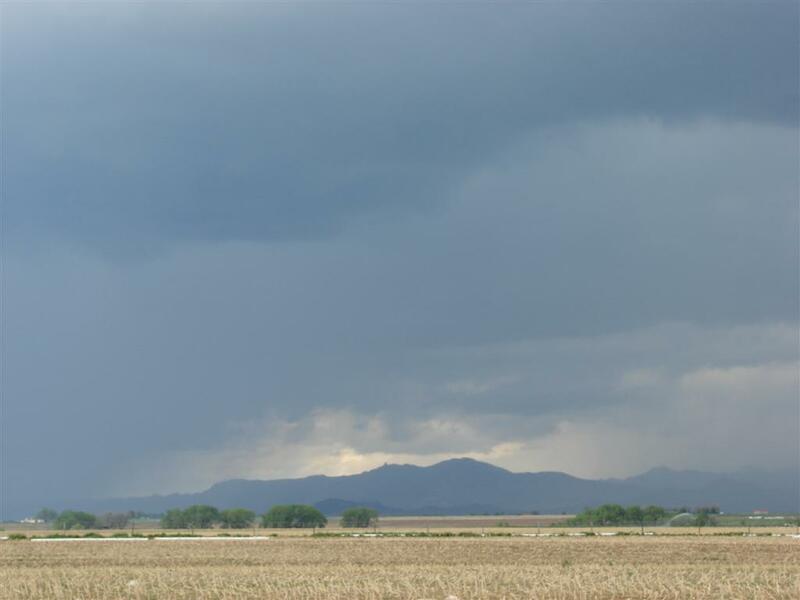 It was a tough call as storms were firing down on the DVCZ and also north of us up near Wheatland. 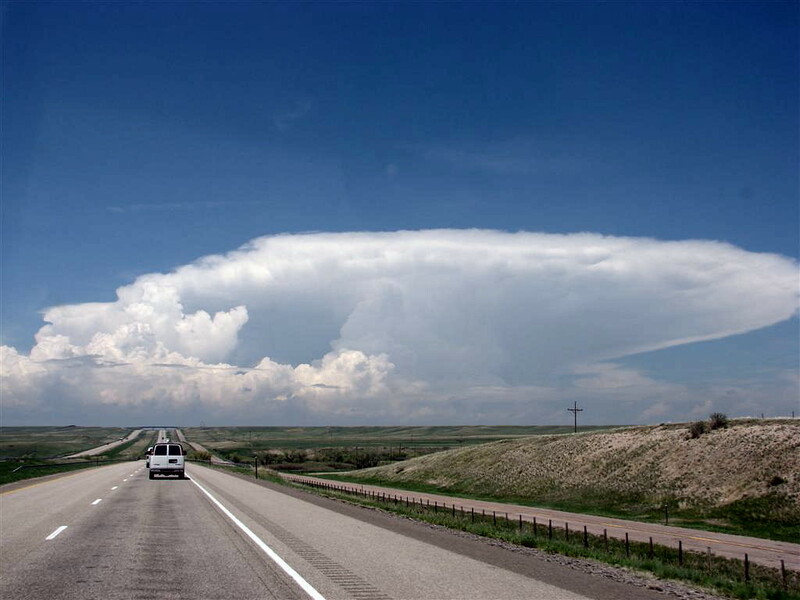 Again drawn by the better conditions up north we targeted a storm in that direction near Wheatland, WY that was dumping copious amounts of hail as it came off the Laramie Range. After stopping to take structure shots from a distance of about 20 miles neat Chugwater, WY, the first updraft had started to fizzle but additional cells were developing on it's flanking line so we targeted those cells and closed in for the intercept. After watching the big rain and hail cores pass, along with some nice cloud to ground lightning, we went hail hunting and soon found ourselves in flash flood conditions. GRLevel3 estimated that 3 1/2 inches of rain had fallen at our location from this storm. 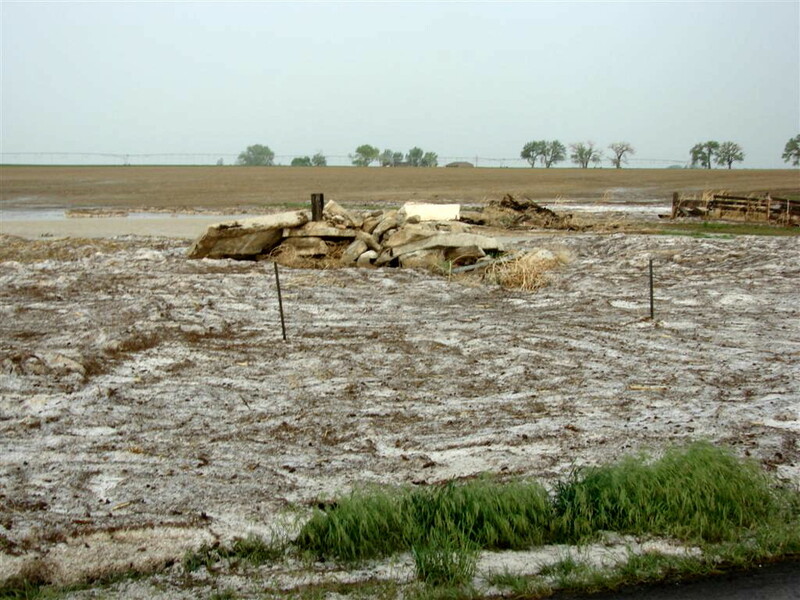 We also drove through hail fields where hail was stacked up 6 inches high at some points. 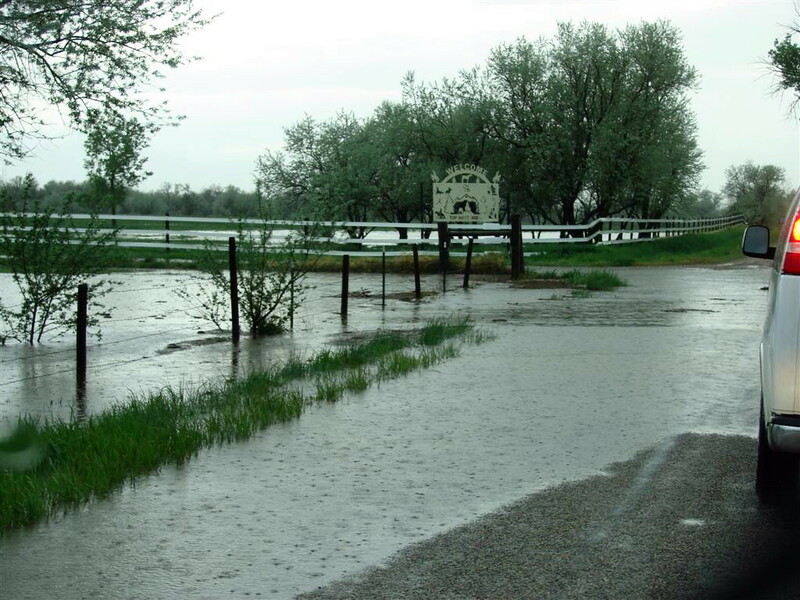 After deciding the roads were too flooded to continue poking around the back roads for hail, we decided to call it quits on that storm and start heading south since we had to be in Pueblo that evening. We kept an eye on the pop-up thunderstorms all around us, but nothing too interesting happened and we eventually had dinner south of Denver on our way to our hotel in Pueblo, expecting to head to Texas between Lubbock and Amarillo the following day depending on how the morning model runs looked. Total mileage for the day: 459 miles. 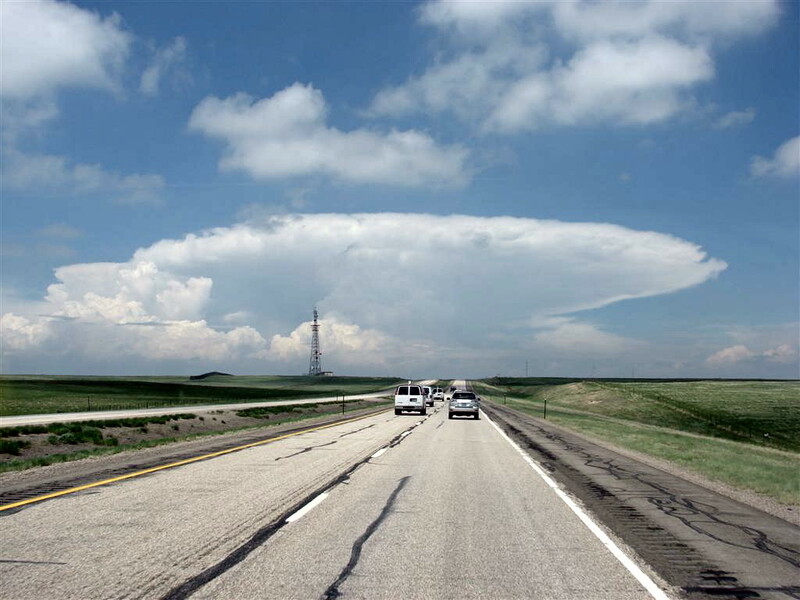 On I-25 as we approach Chugwater, WY, nicely structured hail storm over Wheatland, WY. Another look at the storm with well developed flanking line. 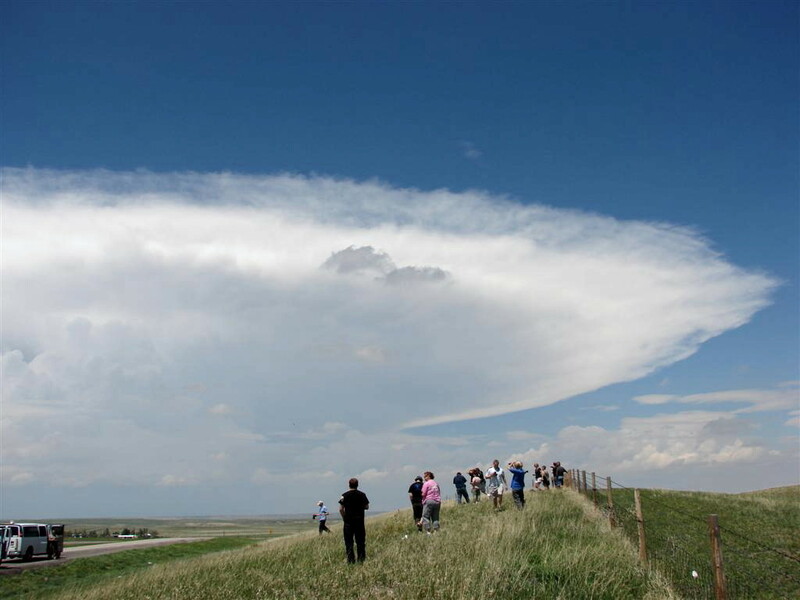 We stopped just north of Chugwater to take some photos of the storm's structure from afar. Notice that the anvil is already getting raggedy as the updraft weakens. 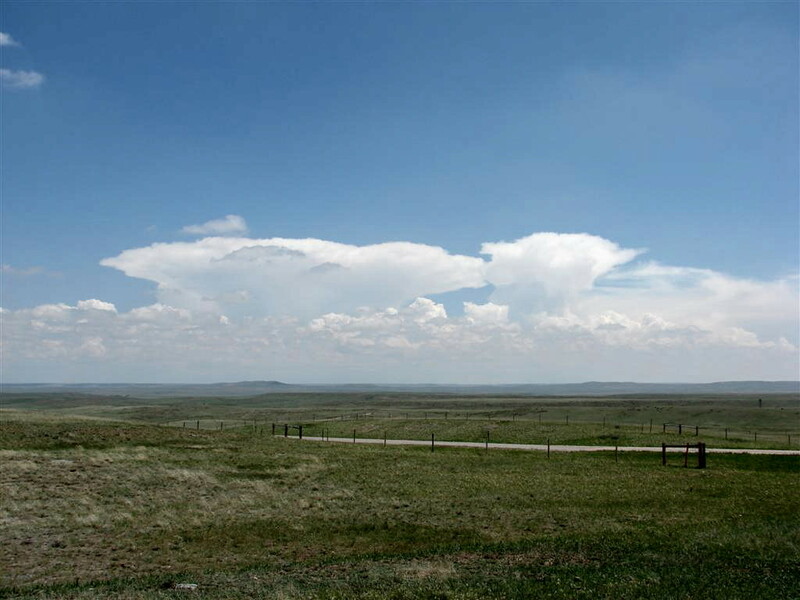 In the distance, additional storms over the Cheyenne Ridge. Now in Wheatland, the first storm had passed through and died. We stopped to observe some intense rain and hail cores near the Laramie Mountains (in the background). The storms were highly electrified. 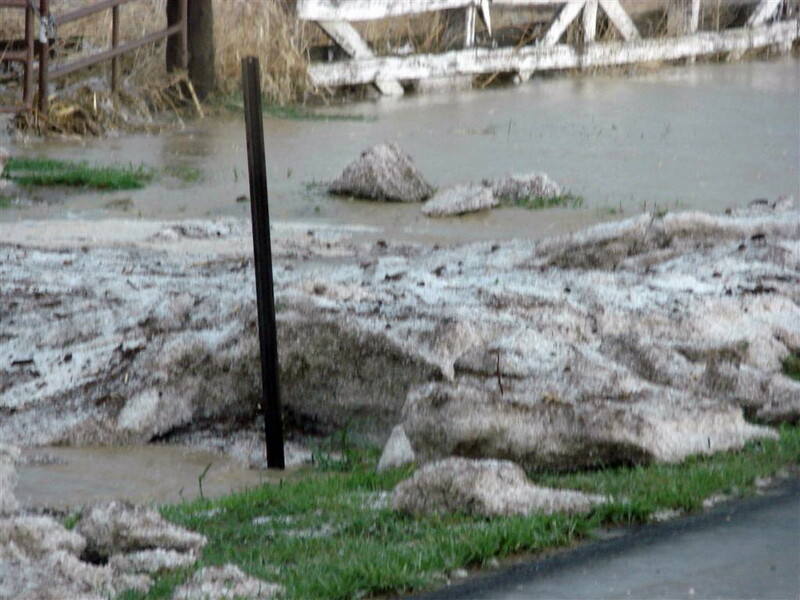 We decided to go hail hunting to our north in Wheatland and found copious hail flows and flooding. 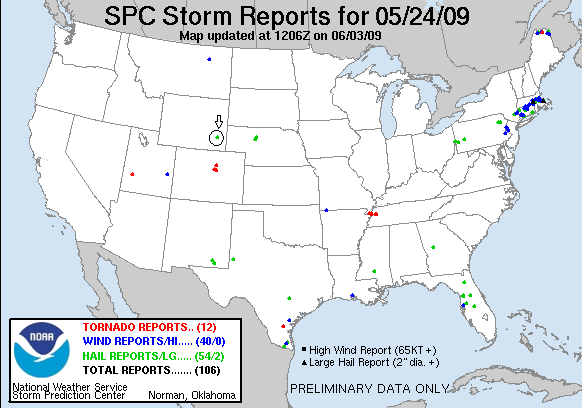 "Hailbergs" massed up several inches high. 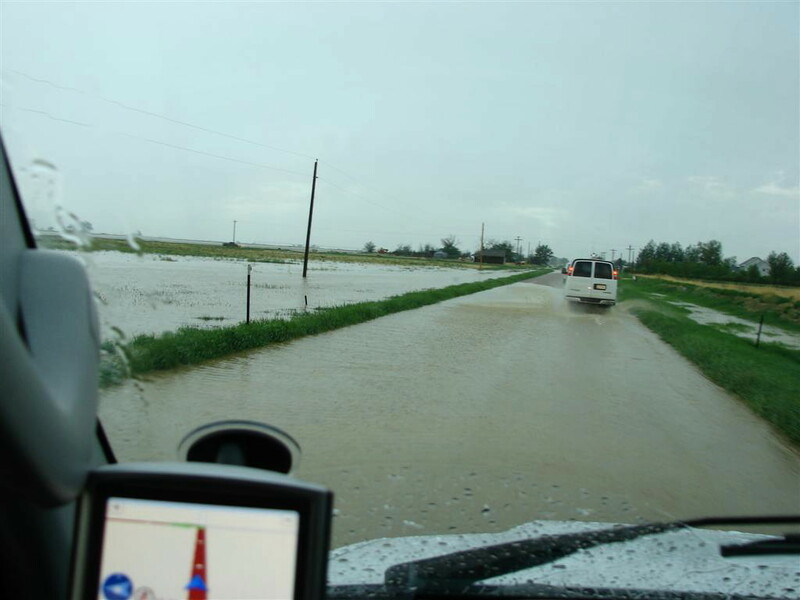 Now past the fields of hail, we run into some severely flooded areas a few miles further north. 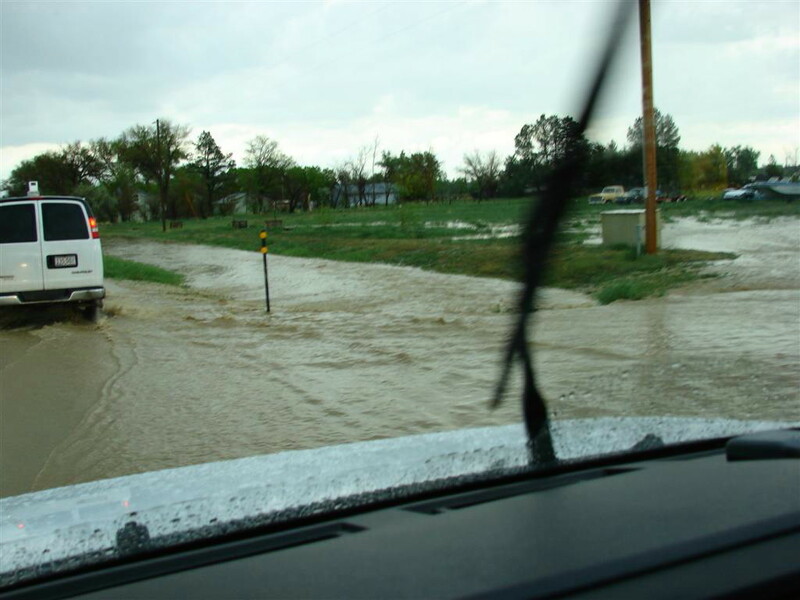 Major flash flooding! With the water rising in the street an inch every couple of minutes, we decide we need to call off the chase and head for drier roads.